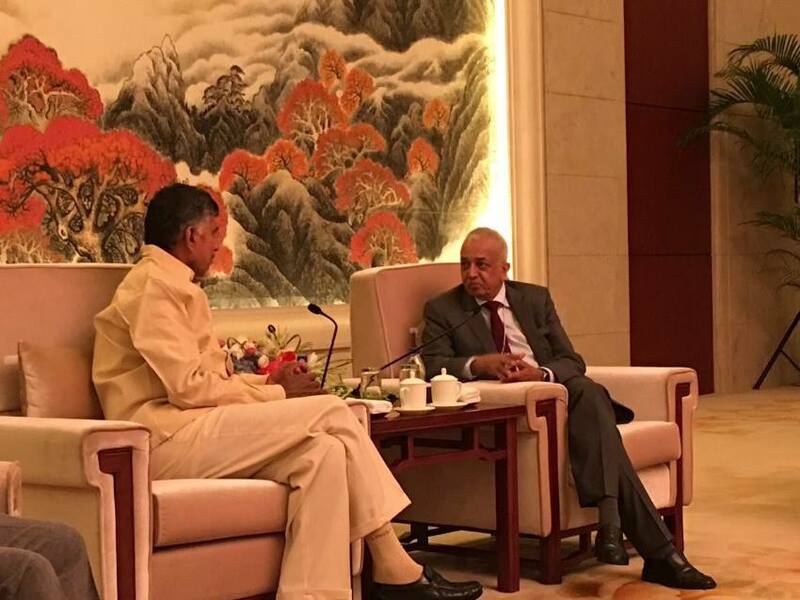 On the first day of his four-day trip to China, Andhra Pradesh Chief Minister N Chandrababu Naidu today held a meeting with Sri Lankan minister Malik Samara Vikrama in Tianjin city and discussed the possibility of the two governments working together for tourism promotion. Chandrababu Naidu reached Tianjin this afternoon via Hong Kong along with a 12-member delegation to promote the state. A communication from his office here said the Sri Lankan minister enquired the Chief Minister on the progress made in building the state's new capital Amaravati. "The Sri Lankan minister conveyed his Prime Minister's greetings to the Chief Minister. He also invited Chandrababu to visit Sri Lanka. Both the governments have agreed to work together for promotion of tourism," the communication said. Samara Vikrama told Chandrababu that there is a mention of Amaravati in Sri Lankan Buddhist history books. The Chief Minister told the Sri Lankan minister the state was focusing on port-based economic development. "We want to make AP the gateway for southeast Asian countries," Chandrababu said. The Chief Minister also met chairman of Hangzhou Dingshen Industries group Zhou Xianhai and discussed mining and minerals sector. Chandrababu informed Xianhai that AP has rich mineral wealth that could be explored and invited him to invest in the state, the CMO communication said.